2019 is on the way and Instagram is a still holding the crown for attention, and for the Brands, Influencers not forgetting the viral kings are all in a epic battle for engagement, likes and followers. Last year we saw a boom with everyone working hard to push a line on Instagram and 2019 will not be any different. Just take a look at your suggested follower list and will you be greated by many ‘new to Instagram’ accounts are regularly joining the platform. Again, this is Instagram growing from strength to strength. 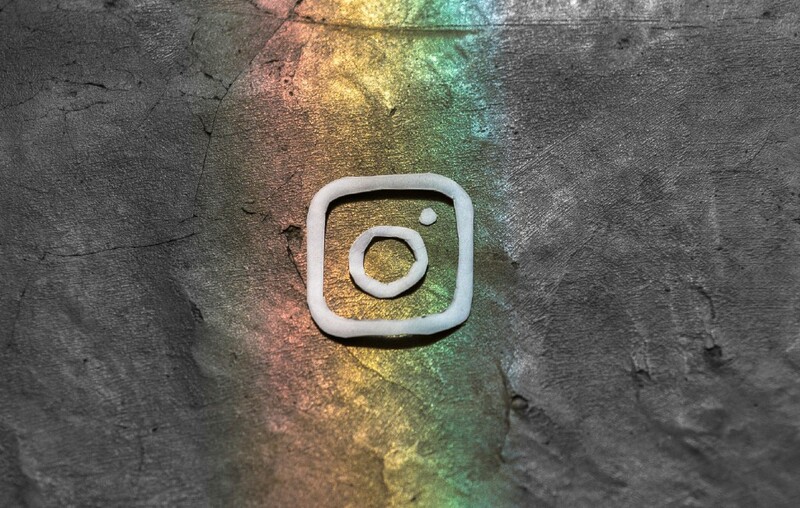 Which has seen Instagram’s eco system increase with more software tools offerings to a anbudance of influencers, creators, and ultimately revenue £££ flowing. This is something breathtaking don’t you think… still not convienced, why you should be using Instagram ? However the biggest addition of the year was Instagram making vertical video lit, by launching IG TV and taking on the mighty YouTube at the same time. People may have questioned this, however all is ‘fair in love and engagement’ as they say. Instagram releasing IG TV was a real mass adoption move, giving users the option to be creative on an entirely new channel, literally. I do think, Instagram had been prepping us for some time with IG stories to get us familar with consuming content in this vertical form. So with Instagram having a billions users and a cool vertical video feature, how do you utilise Instagram in 2019? Well there are few answers to this, IG TV will probably be the main focus for Instagram next year. As IG TV is still a little fiddly to manoeuvre to be fair, overall it is very early days for IG TV in general. Two thing which remains for sure, is the main grid, don’t neglect it or IG Stories (Instagram Stories) as these formats are still a focal point to grab people’s attention, to potentially gain a uplift of new followers. Working on your account as a whole should always be the agenda. Going into 2019, and to help you keep working to improve your Instagram line, I recommend a few tools that can smoothly do this with ease. If your not devoted to growing your Instagram account, or embracing the extraordinary power of growth hacking, then these tools may not be for you. Before you make your mind up, take a look at my 5 Instagram tools you should be using to help you immediately take action on Instagram in 2019. P.S- If you need more information, you can always hit me up on Instagram, Twitter or Medium and I’ll be glad to answer any questions you may have. Fuelgram are back with a new AI algorithm which properly anaylzes accounts engagement, activity and how real each accounts following is to provide the most effective powerlikes delivery. Fuelgram is the number one name in Instagram Powerlikes and Instagram growth, real numbers, real growth and real Instagram Powerlikes. Fuelgram has been the front runner for a few years for Instagram Powerlikes and growth in general. So much, that it got some shade thrown on its services, me personally I’ve had fuelgram in my marketing stack ‘for a minute’ as they say. With our data, we have hit over 10 million impression using Fuelgram and gained over 350,000 followers plus across our networks, just by adding Fuelgram into our marketing stack and some good content. Yes, they used thier own network of accounts gaining average of 1000 daily followers, which helps to deliver the most effective Powerlikes. Note: Instagram Powerlikes are a tool to increase the chances of your posts going viral. However like I said before you content has to be rock-solid to go viral in the first place. Don’t take my word it, try Fuelgram for free, they offer free trials, so you can try send your posts to Instagram Explorer. I mention Fastory Story creator in my book Gram Hacks, because it’s a great Instagram tool to streamline your IG Stories creation. Fastory primary focus is to helps you to create engaging content for Instagram Stories. You can simply use the templates provided, or add your custom content. Fastory also lets you instantly synchronize Instagram & Snapchat ads assets too. Overall Fastory helps to create professional-looking content without any advanced technical or designing skills. Aigrow.me is a very capable tool, which encapsulates the entire Instagram growth process in one cool tool. YES!, I did say the entire growth process. Aigrow me is like Instagress 3.0. Aigrow.me enables you to create your own Engagement Pods, Scheduled Posting, Direct Messages(sending enabled) along with targeting by hashtags, location and influencer. Aigrow me also offer dedicated fully support on their top plans, and is definetly an Instagram tool to consider, for your Instagram marketing stack. Plus, you guessed it…before you make your mind up, you can trial it! free for 5 Days. Eyes was were fully focus on IG Stories, from the time it was launched and the eyes are still there. But, where are the eyes are looking? there will be data for you to anaylzed. This is where Storyheap let’s you gain deeper insight into how your story is performing with Story Analytics. Storyheap can also work on Snapchat accounts aswell. This tool also provides story scheduling from the web via url. By simply dragging and dropping your content in and selecting a time. Their algorithm will do the rest. The guys from Instagress are back with this new effective Instagram tool powered by A.I. ( Artificial Intellgence). Social Captain is the go to Instagram personal assistant helper managing all your Instagram tasks with ease. Social Captain displays some great features enabling you to grow your Instagram account effective and efficiently, with their SmartGrowth™ feature that enables A.I. powered boosting modules, which improve with every single action of your account. They also provide you with a smart, sleek dashboard to track your accounts progress in real time. The platform does boast to having an 85% average follower growth, so their SmartGrowth™ feature could be the answer for this data. Overall Social Captain does what it says on the tin and more, with a little process named A.I. the good news is Social Captain does offer a free trial period. Those were my 5 Instagram Tools You Should Be Using In 2019, Instagram is always changing and you need to adapt to stay ahead of the game. In the Dream Team Secrets Instagram Course we won’t just be teaching you about secret automation tools and apps, that’s just a small part of the course. I am in no way connected to these websites, other than a normal user, just needed to point that out. The services or software I have mentioned, I feel obligated to check them out, by testing and using them on a day to day. Otherwise it would not be fair to even mention them, without any expereince or data. Join our Facebook Group. Contact us for a sponsored post. Write for us. Need help growing your business to the next level? We can be your CMO and marketing team. Learn more. 5 Instagram Tools You Should Be Using In 2019 was originally published in Marketing And Growth Hacking on Medium, where people are continuing the conversation by highlighting and responding to this story.